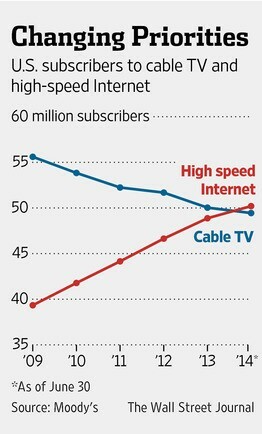 Community Media centers, also referred to as Public Access or PEG TV stations face a critical era as “cord cutting” (the trend of cable TV subscribers to cancel their subscriptions in favor of viewing content online) continues. Because Community Access / PEG TV stations potential revenue ultimately depend on FCC levies assessed on subscriptions, this drop in recent years gradually is forcing these organizations to develop new sources of community support and diversify their revenue streams. Solutions include corporate sponsorships, e-commerce sales, memberships, classes, equipment rental, greater support from local municipalities and other sources. In all cases, a Community Access center’s success in developing new revenue streams depends on how well it can engage the local community. 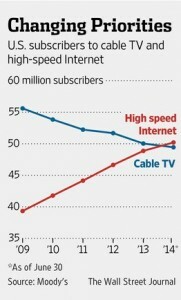 This is where Community Media Platform (CMP), Polar Design’s unique Software as a Services (SaaS) solution helps. 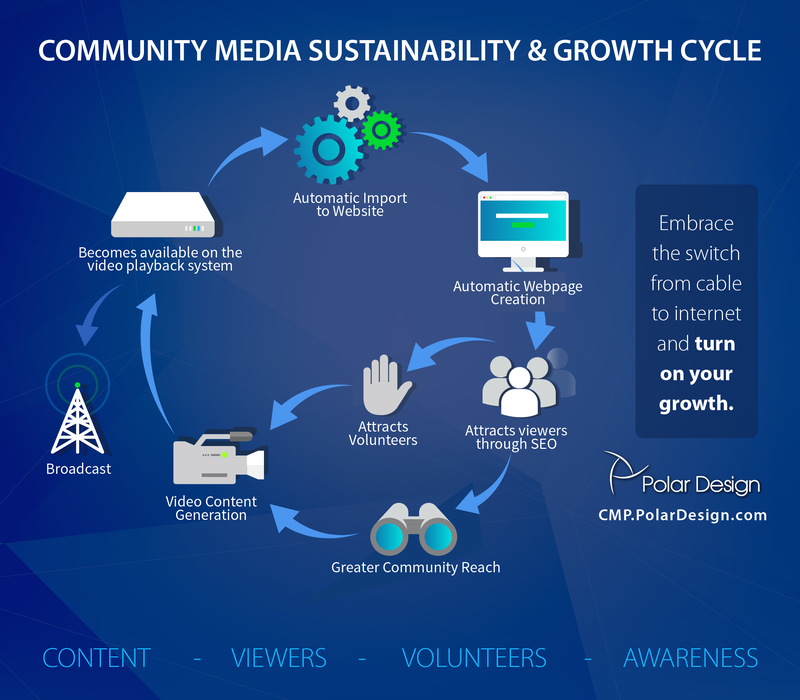 By making it easy for Community Access web sites to draw their video meta data from their video playout systems into their web sites, CMP makes it possible for centers to publish their extensive collection of video as well as schedule information to multiple pages on their own web sites. This leads to better search engine visibility, improved user experience and greater visibility in social media as well. 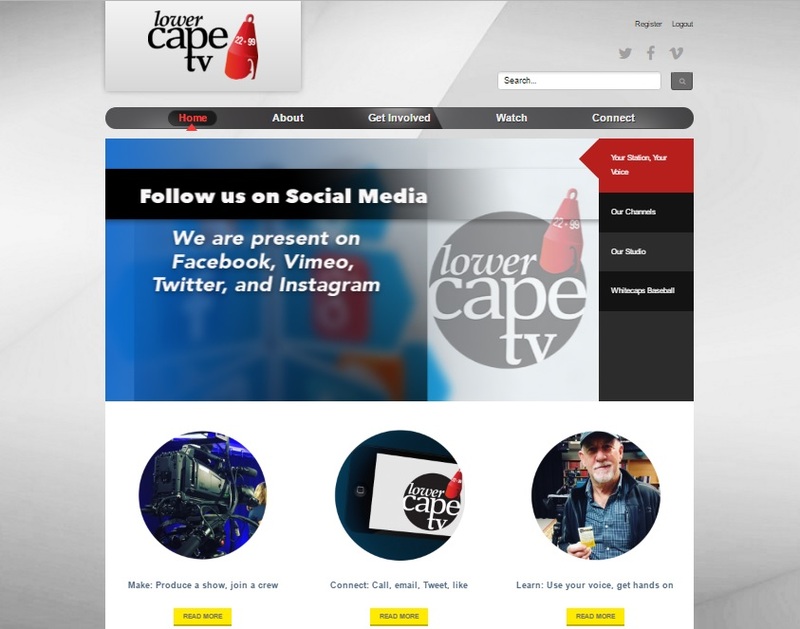 Our CMP solution is assisting Community Media centers like Lower Cape TV automate publication of their rich content online, which is increasing awareness and attracting visitors to their website at a much higher rate. Increasing mindshare in the communities that they serve will empower Community Media centers like Lower Cape TV and open up opportunities to diversify revenue, gain additional support and counter the trends of cord cutting. The Horizon Interactive Bronze award in the Experimental / New Technology category given for the Lower Cape TV website further validates our vision and faith in the power of emerging technologies like CMP to secure the future of Community Media centers and Public Access broadcasting. Managing Director and co-founder of Polar Design, whose well rounded skills and perspective characterizes his own and the company's strength in understanding clients' objectives and needs.